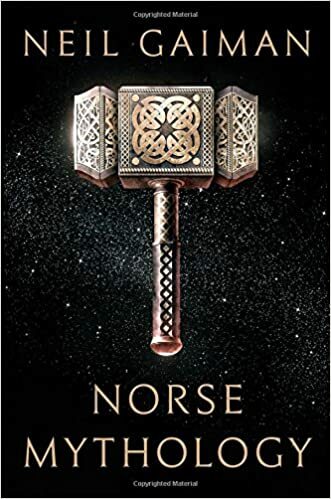 Neil Gaiman has written an incredibly engaging account of the Norse gods in this slim book. Often seen as lesser than the Greek gods, I believe the Norse deities are enjoying a resurgence of late primarily thanks to the Marvel Thor movies. Has Loki ever been more popular than during the last several years? However, the Thor of the Marvel Universe is most definitely not the Thor of Norse mythology. Not at all. If you’re looking for a quick read to gain familiarity with these fascinating beings, Greek Mythology is the book for you. Though all the names remain the same, Gaiman has written their tales in a more contemporary fashion, one that our modern society will find fluid and easy to comprehend. Gaiman focuses on the most relevant of the stories, and so you can expect to learn about the major events and figures of the Norse pantheon. Readers will be surprised to learn that Thor is something of a meathead in his original incarnation, Loki is actually Odin’s blood-brother, and Odin himself is far more dangerous than the movies ever depicted. You’ll experience trolls, frost giants, serpents, dwarfs, monstrous dogs, and Ragnarok – the fall of the Norse gods. A quick read, I would have no problem putting this book in the hands of my eight-year-old daughter. It is not a children’s book, but it’s also not inappropriate for children to read. As I already said, I can’t imagine a better book to provide a basic knowledge of the Norse gods. Gaiman is no stranger to Norse mythology, by the way. Odin is a major player in his novel entitled American Gods (which is soon to appear on STARZ as a television show). He also uses Thor, Loki, and Odin in his seminal comic book series called The Sandman. This entry was posted in Book Reviews and tagged arts, book recommendation, Book Review, books, entertainment, Fantasy, literature, Neil Gaiman, norse mythology, Novel, read, review.